KEY FEATURES: 19cm long. Uniformly brownish black with paler edges on the feathers. Bill strong and dark; iris yellow. A short tail of 12 equal feathers with rounded tips. 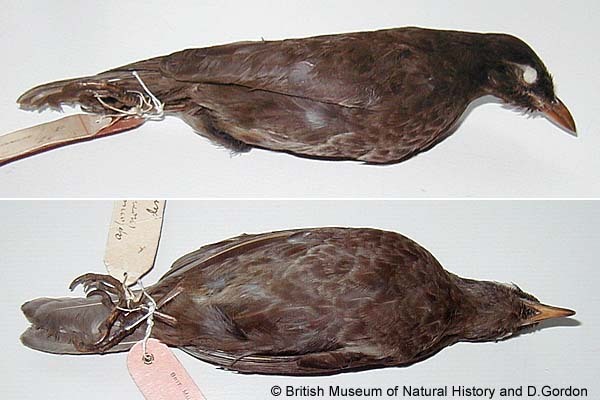 Mauke: specimen in British Museum collected 1825.